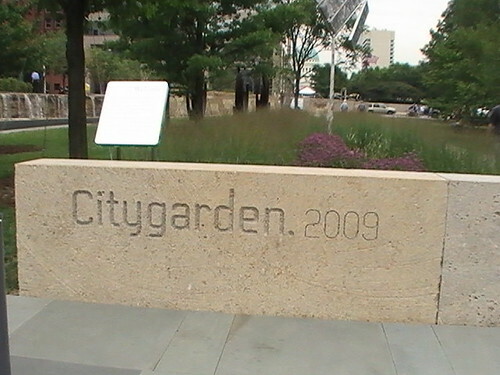 On the Fourth of July weekend, the city of St. Louis opened a playground/garden/art exhibit called City Garden. It encompasses two city blocks with water features the kids can play in, native plants beautifully arranged, and sculptures. 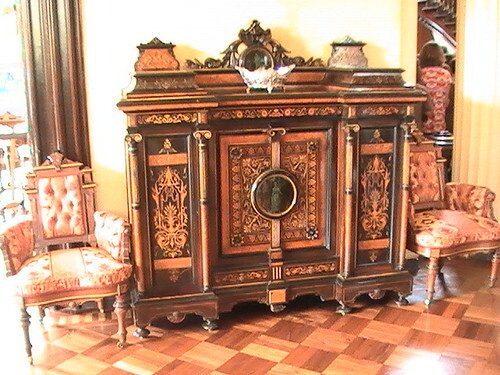 Eros Bendato [Eros Bound] has the feel of an ancient relic that has been excavated and reconstructed. Artist Igor Mitoraj is inspired by ancient cultures and particularly characters from Greek and Roman mythology. 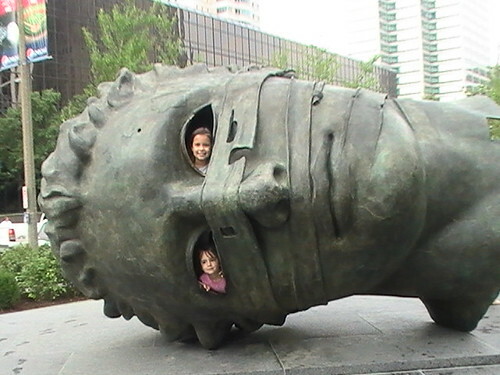 In this sculpture, the dismembered head of Eros, the Greek god of love and desire, lies on its side. The bandages that wrap Eros’s face suggest that the eyes and mouth have been covered, indicating that desires and ideas have been imprisoned. The bandages also symbolize two opposing views of the world–either that civilization is broken beyond repair, or that it is being held together despite destructive forces. Hmmm. Maybe. But the little girls just think it’s fun to peek out of the eyes. One of them told me that the statue needs to blow his nose. 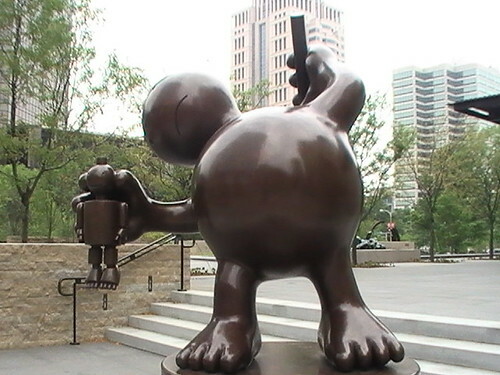 American sculptor, Tom Otterness, creates cast bronze sculptures inspired by fairy tales, cartoons and early animation. His work often appears comical but carries a serious message. In Kindly Gepetto, Gepetto, a carpenter and the fictional creator of Pinnochio, is about to hammer the poor puppet. Pinnochio wants only to be a real boy, but first he must prove himself truthful and be able to tell right from wrong. 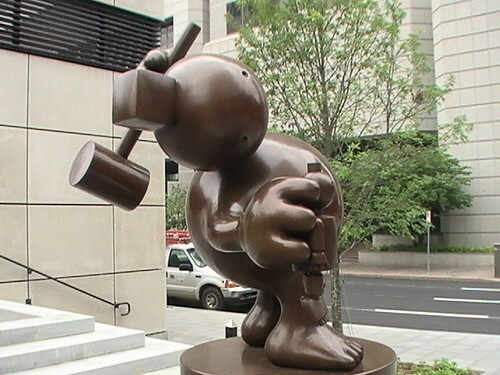 Otterness explores this complicated relationship between the creator and his creation. Ya think? I dunno. That sounds like a fancy schmancy analysis of a sculptor with a slightly warped sense of whimsy. 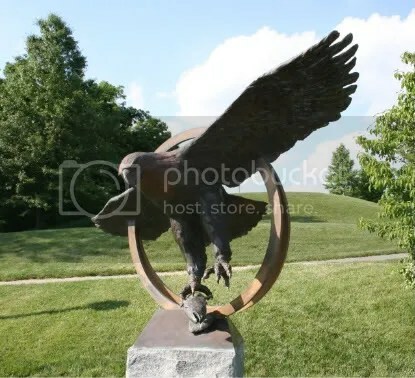 Friday Public Art Blogging – "Sky Spirit"
“Sky Spirit”, a bronze sculpture by Sabra Tull Meyer, is located at Les Bourgeois Vineyards in Rocheport, Missouri – just up the hill from the bluffs overlooking the Missouri River . 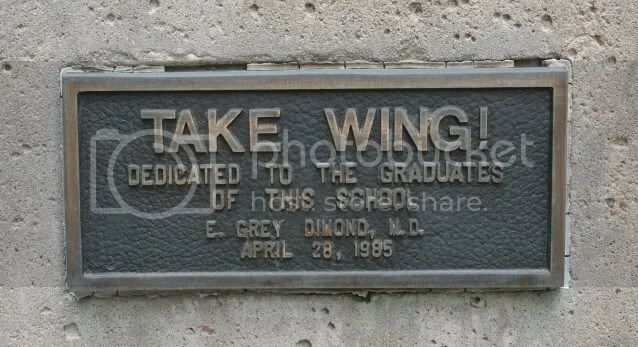 Friday Public Art Blogging: Take Wing! Take Wing! – at an entrance to the University of Missouri-Kansas City School of Medicine – on Hospital Hill in Kansas City. 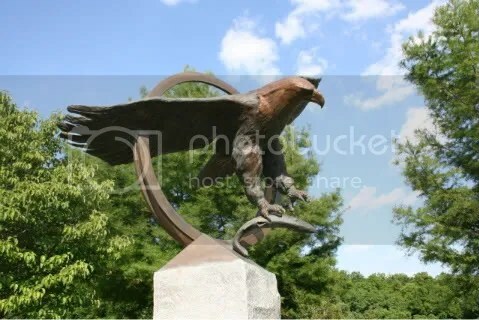 …Take Wing is a bronze sculpture cast from a small carving made in 1952 by E. Grey Dimond, MD, Provost Emeritus for the Health Sciences, from a piece of driftwood he found on the beach while visiting Carmel, Calif. His daughter, Lark, had the sculpture enlarged and cast in bronze. 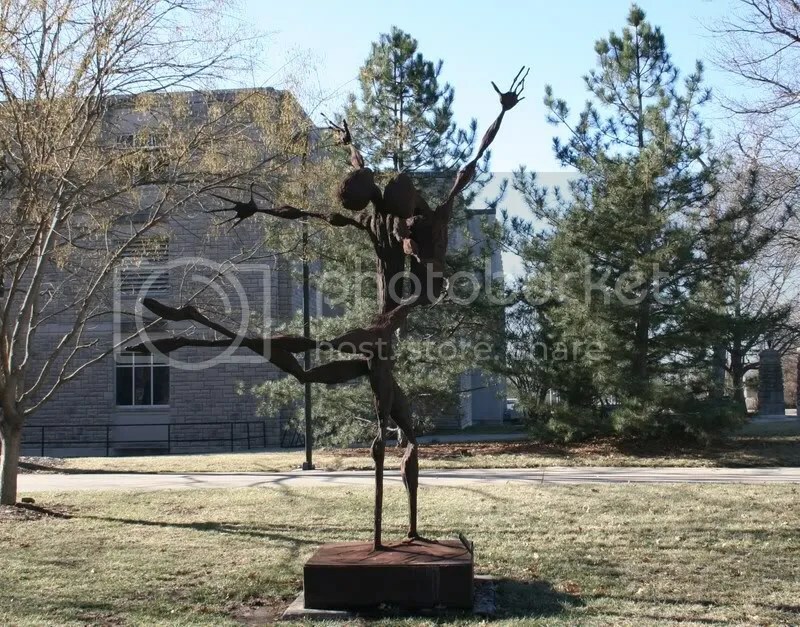 That sculpture now stands in front of the UMKC School of Medicine encouraging students and alumni to “Take Wing” and soar to new heights in their careers after they leave the school. 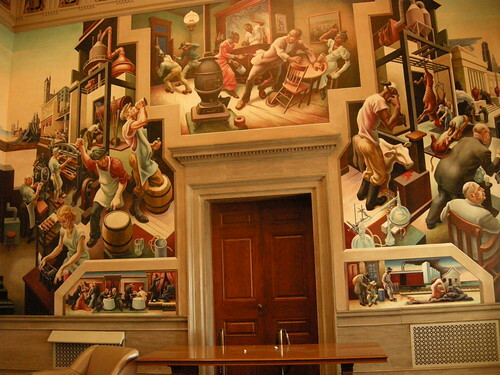 Perhaps Thomas Hart Benton’s most well known work is the mural he painted on three walls of the House Lounge in the Capitol Building between 1934 and 1936. 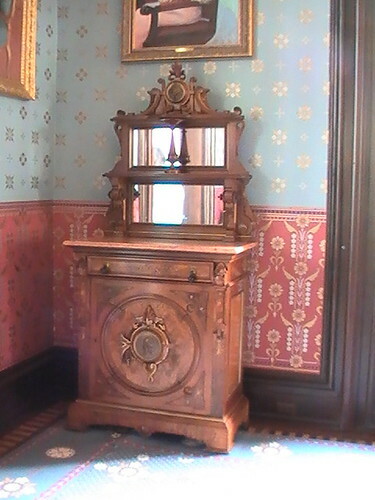 People were allowed to watch the work in progress–if they were quiet. He had a note posted asking them not to make suggestions. Once it was finished, though, the mural suffered, from a variety of causes: from people picking at it with their nails to see how hard the paint was, not to mention from heat, birds and smoke from nearby factories when the windows were open. 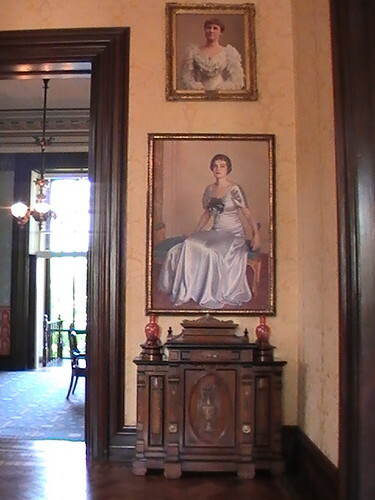 In 1960, Benton hired a preservationist to help him restore the mural, and from then on the room was air conditioned and humidity controlled. The mural will probably outlast the building. The North Wall shows scenes from the early settlement of the state: pioneers heading here and tilling the soil, a settler trading whiskey with an Osage Indian, the use of slaves to do manual work, a worker swinging an axe, a blacksmth forging a wheel. Above the door, Huck Finn and Jim enjoy fishing on the Mississippi. 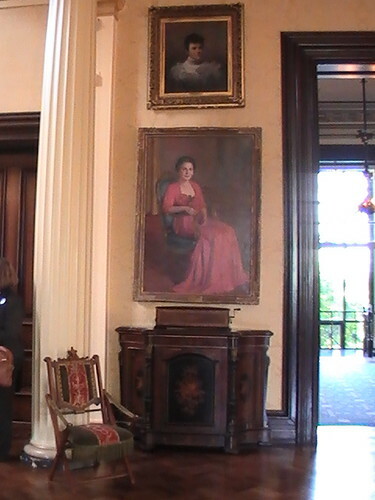 If you’d like to see the painting enlarged, click here and click on large. 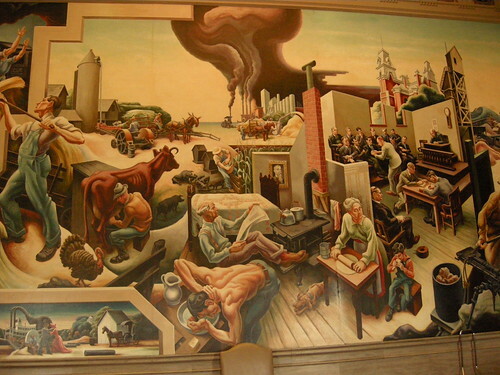 The East Wall, the largest of the three walls, illustrates politics, farming, and law in the state, with many of its facets drawn from Benton’s own experience. 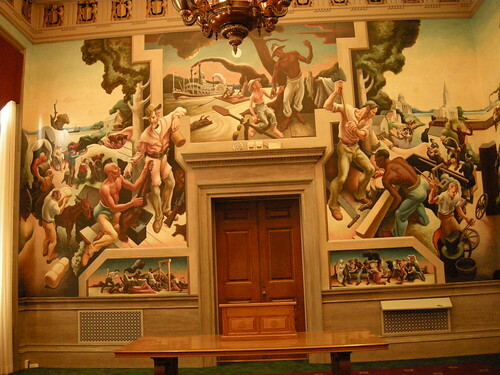 For example, on the left side of the wall, the man breaking up a fight between two youngsters (Benton’s nephews) is Senator Ed Barbour of Springfield. The towering funnel of smoke represents the Civil War, and in front of it is a freed slave who’s been lynched. Click here to see a larger size. 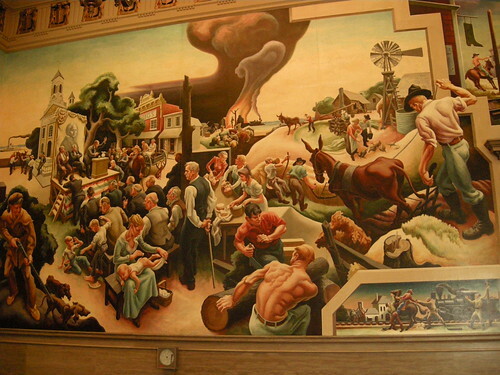 The right side of the East Wall shows more farming scenes as well as the beginnings of smog from the industrial revolution. Again drawing on personal experience, Benton showed his brother Nat, a prosecuting attorney, pleading a case. 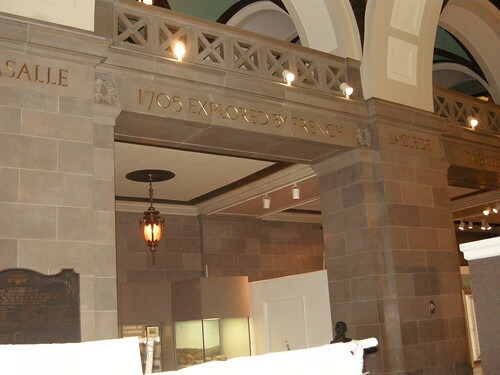 The South Wall shows St. Louis and Kansas City. 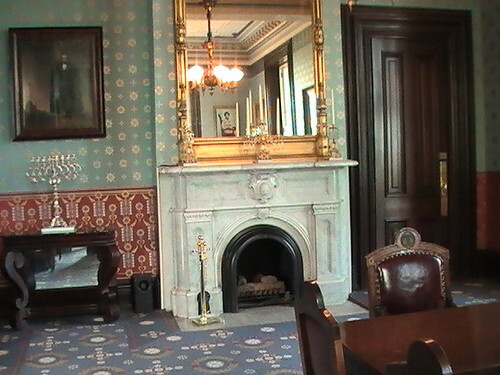 On the left are the shoe making and brewing industries that made St. Louis distinctive. On the right is Kansas City, with its stockyards and meat processing. 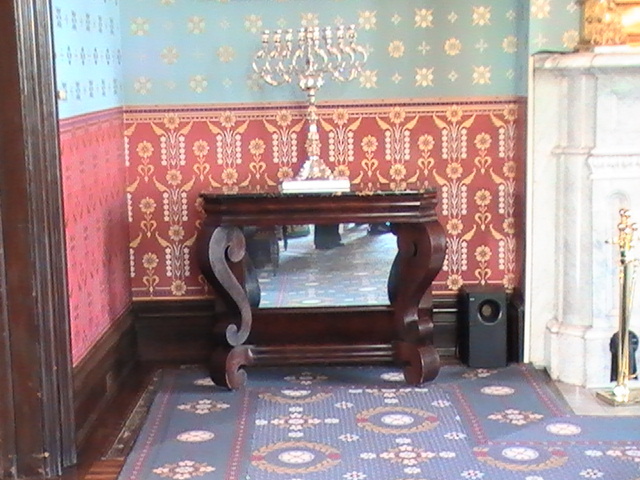 Above the door is the famous story of Frankie and Johnny. Frankie found her man on a date with another woman and shot him dead. The affair was immortalized in song. Click here for a larger size. 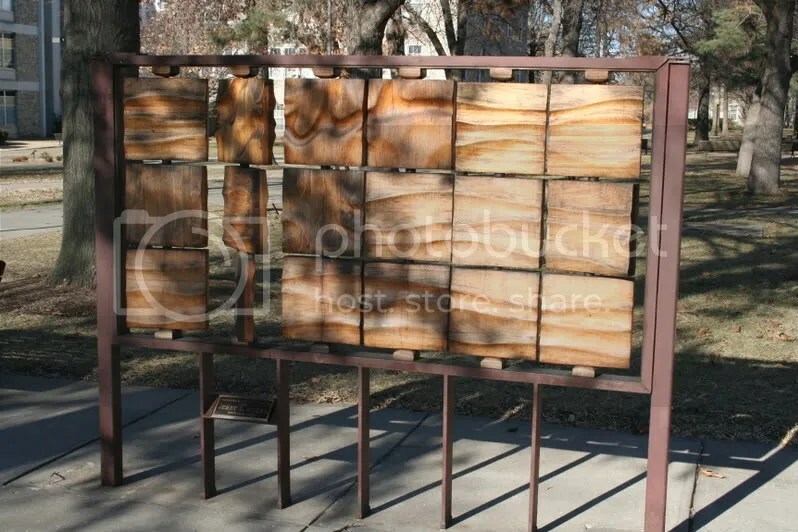 Friday Public Art Blogging – "Squares + Movement = ( )"
…He installed this sculpture in 1985. It was built so the viewer could manipulate the parts and become actively involved with the work and the design process. 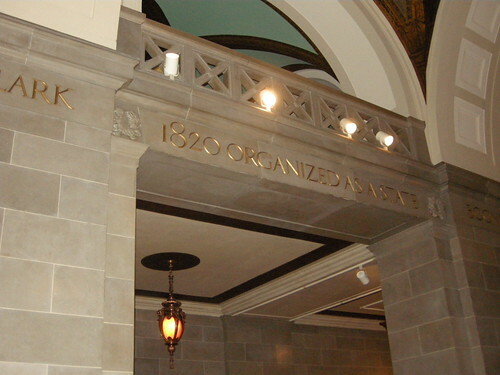 Pre-statehood Missouri history is carved in marble on the first floor of the Capitol building. 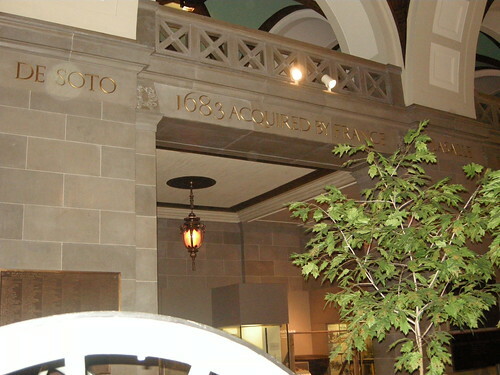 It is believed by many historians that De Soto explored our region while pursuing his dream to find a northern passageway to China back in 1541. After “discovering the Mississippi River”, he crossed from Kaskaskia (Illinois) into our region, meeting five different tribes of Native Americans along his trek through what is now Southern Missouri continuing on into Arkansas. White men were sparse as hen’s teeth, though, for the next 130 years. Then the influx began. It was not until 1673, when Father Jacques Marquette and Louis Joliet (who are most often credited with the discovery of Missouri) sailed down the Mississippi River in canoes along the area that would later become Missouri. The two established that the Mississippi River ran all the way to the sea. In 1682, Robert de LaSalle claimed the Louisiana Territory for France (“New France” or Louisiana, was named to honor Louis XIV). 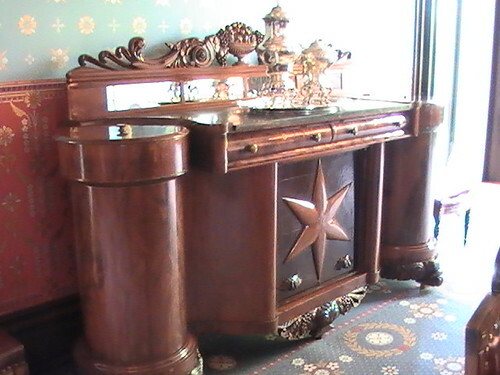 Soon French settlers were establishing trading posts and forts in the new territory. During the early years of French occupation, trade with the Indians was the only major industry. In 1750, the first white settlers founded nearby Ste. Genevieve as the first permanent white settlement in “upper Louisiana” (although there are some reports that Ste. 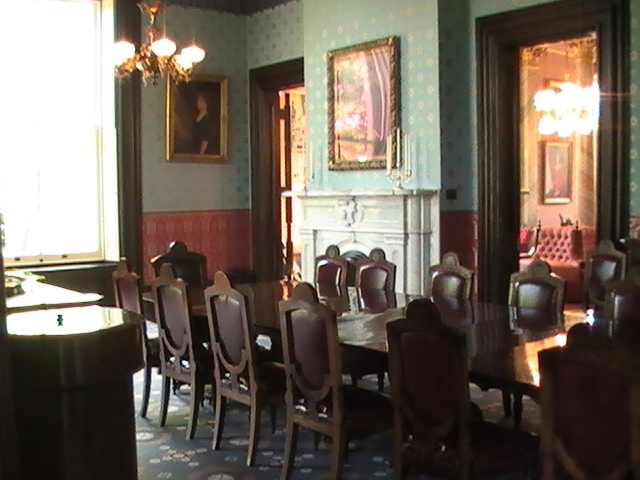 Genevieve was founded as early as 1732-1734). 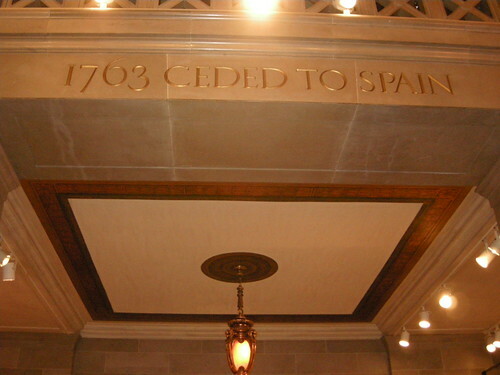 It was a confusing time for these early settlers because in 1762, Spain gained control of the Louisiana Territory in the Treaty of Fontainebleau, but did not “officially assume control of the territory until 1770”. 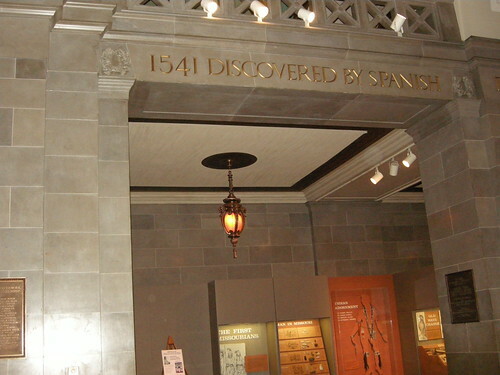 One of Missouri’s nicknames is “Gateway to the West”. In 1804 Lewis and Clark set out from St. Louis not only to map this new region, but to also evaluate the potential of westward expansion at the behest of President Thomas Jefferson, an advocate of western expansion. The expedition led all the way to the Pacific Ocean. The California Gold Rush began in 1848 and Missouri once again became the departure point for those heading to California, earning Missouri its first nickname. 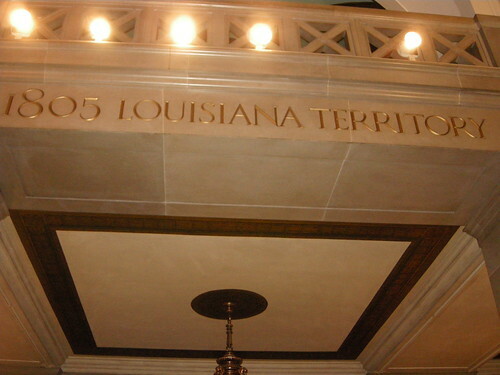 After Louisiana became a state in 1812, the remaining Upper Louisiana Territory was renamed the Missouri Territory and was divided in to five original counties. Our present Iron and Reynolds counties were considered a part of the new county of Ste.Genevieve in the new Missouri Territory. 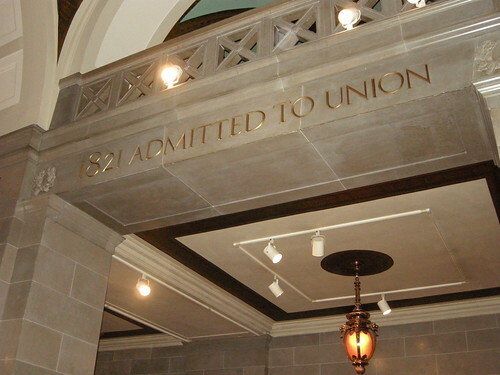 In 1818 the first Missouri Constitution was drafted and in the same year, a request was made for admittance to the Union as a slave state. 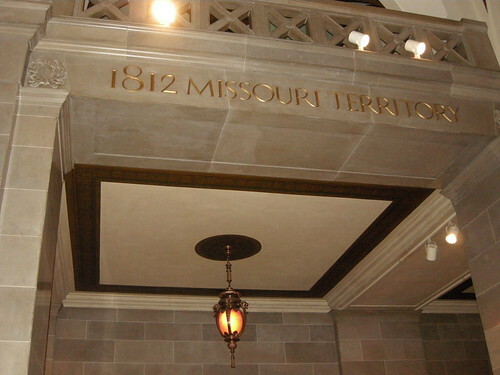 After a national controversy due to the delicate balance between free and slave states, Missouri was admitted as the 24th state in the Union in 1821. 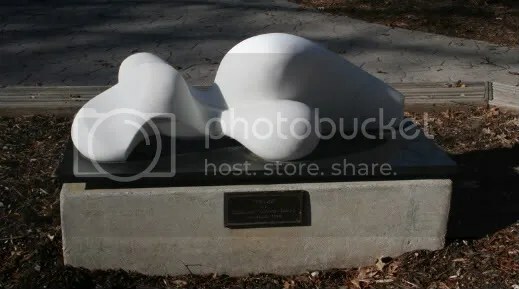 Friday Public Art Blogging – "Petra"
Kathi [Caricof-Burns] grew up near the sea, and her work reflects the motion and the timelesness that the ocean holds. Her work is a balance between abstract motion, and representation of her subject. 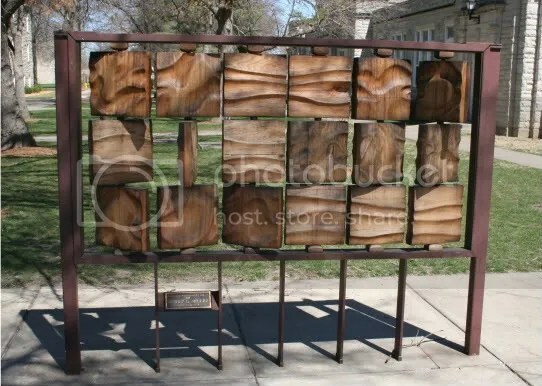 Kathi’s work as a stone sculptor is recognized in both commercial and residential spaces. Dates: 1992. Copyrighted 1992. 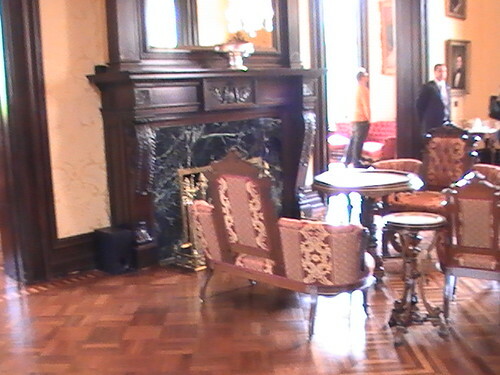 Installed 1993. 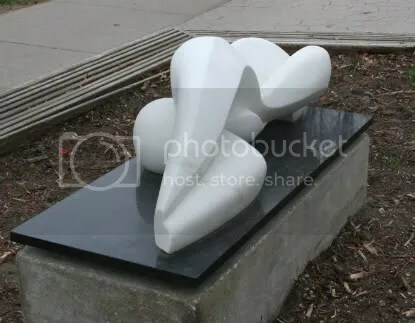 Medium: Sculpture: white marble and black granite; Base: concrete and black granite. 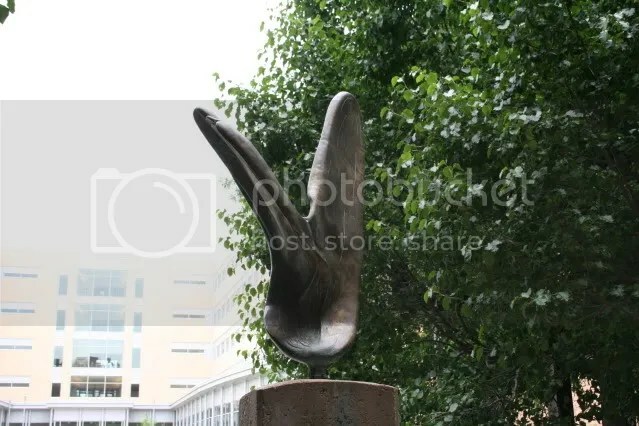 Sculpture: approx. 20 x 20 x 48 in. 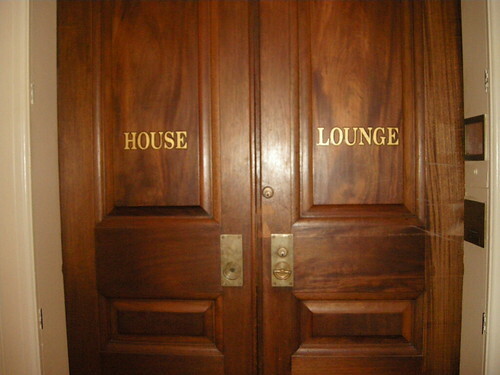 ; Base: approx. 15 x 54 x 22 in. 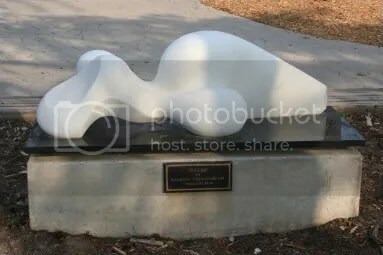 Description: An abstract prone female figure with her head placed down suggesting extreme emotion. 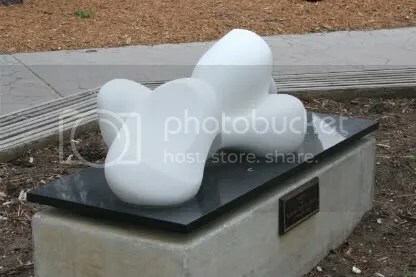 The sculpture is placed on a rectangular base. 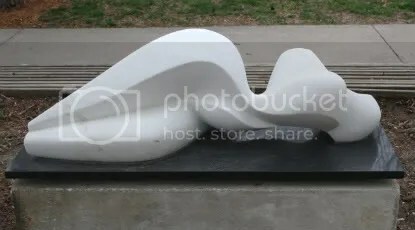 The sculpture and base are situated on a raised flower bed that is encircled by a multisided bench…. Friday Public Art Blogging – "Equiponderation"
Philip created “Equipondation” with attention to it’s surroundings in mind. 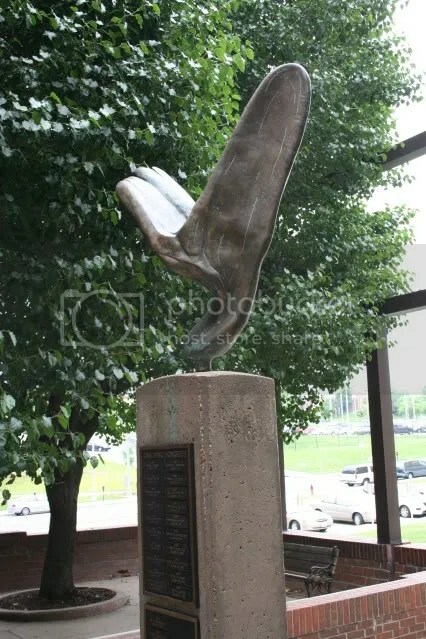 The sculpture is meant to challenge all that pass by the piece, asking them to think and feel the piece. 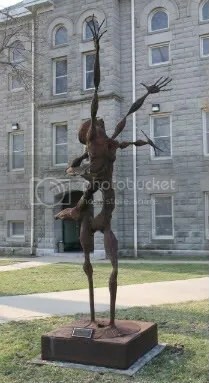 The piece was created with steel in a combination of welding and blacksmithing techniques.